The values of Freemasonry are based on integrity, kindness, honesty and fairness. Freemasons are taught to practice charity and to care, not only for their own, but also for the community as a whole – both by charitable giving, and by voluntary efforts and works as individuals. From its earliest days, Freemasonry has been concerned with the care of orphans, the sick and the aged. This work continues today. In addition, large sums are given to national and local charities. Masonic charity is exercised at every level: individual Lodges make gifts and give aid to their own communities and every Province also gives large sums of money to regional causes. 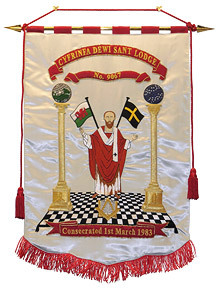 The Provincial Grand Lodge of South Wales administers many charitable funds; the principal ones are The Masonic Benevolent Fund of South Wales (MBFSW) and the Good Neighbours (SWED) Housing Association (GNHA). The objects of the Masonic Benevolent Fund South Wales are to provide relief to needy Freemasons of the Province, their widows or partners, their children and any spinster sisters. The MBFSW also receives applications for financial assistance from Non-masonic organisations. If they are deemed worthy of support and are registered as a Charity they receive an annual grant subject to the approval at the annual Court of Governors. The MBFSW relies heavily on brethren becoming Life Governors and on regular donations from Lodges in the Province to enable it to carry out its charitable work. The Good Neighbours (SWED) Housing Association is responsible for one of the Province’s major assets in the Geoffrey Ashe Court in Cowbridge, Vale of Glamorgan, which provides high standard of housing accommodation and associated amenities for elderly Freemasons or dependents of Freemasons who are or were members of the English Constitution. The Geoffrey Ashe Court consists of 17 self-contained flats with a communal facility set in lawned and regularly maintained grounds. The Province has a residential home in Porthcawl. The Albert Edward Prince of Wales Court is managed by the Royal Masonic Benevolent Institution and provides full residential, nursing and dementia care for elderly Freemasons or their dependents. The Freemasons’ Grand Charity is dedicated to helping people in need, and has donated over £120 million since 1981. Each year, The Freemasons’ Grand Charity provides relief grants for hundreds of individuals who are experiencing financial difficulty, as well as donating millions of pounds to nationwide charitable projects and services. For example, in 2014 it donated £90,000 to Parkinson’s UK to fund a specialist nurse. Recently, £50,000 was sent to the disaster relief fund in Nepal. Indeed, whenever a disaster happens the Grand Charity is very quick in its support. The RMBI has been caring for older Freemasons and their dependants for over 160 years. We operate 17 residential care homes across England and Wales offering high quality care. Many of our Homes are registered for both residential and nursing care and a number offer specialist dementia care. All of our Homes can offer places to people with dementia, following as assessment of their needs. They provide grants to eligible beneficiaries who have an identified health or care need and, faced with a long wait for treatment, care or support, are unable to afford their own private care.